On January 16, 2018 at about 8:10 p.m. a huge fireball split the night. The quaint town of Hamburg Michigan was about to be cast into the spotlight! 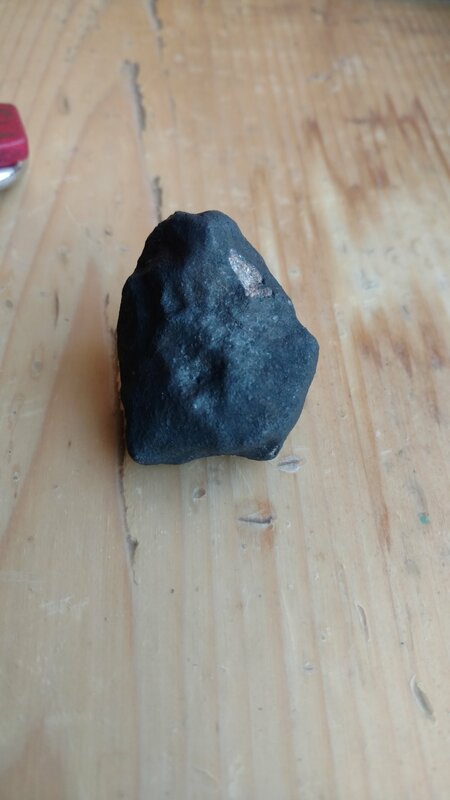 Meteorites landed in the small town and the hunt was on…I will be posting a complete report of the recovery of the first stones later. If you have found a meteorite from this event I am interested in buying it from you. I am paying cash for authentic meteorites from this event! 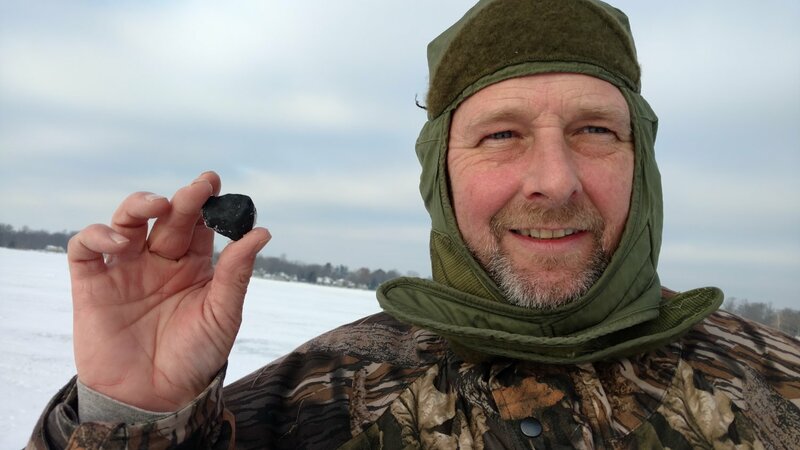 Images show what a real meteorite looks like. They are dense and heavier than a normal rock of the same size, they do not have holes in them. The exterior will be very black but as time goes by they will begin to rust. The interior of the stones is light colored.